Sometimes as new sales professionals, we see other people’s successes and we assume they are natural sellers. While we struggle to “hunt and kill” so we can eat, they seem to generate reciprocal, repeatable business. We don’t initially understand that every part of our business that is repeatable should be part of a sales process. 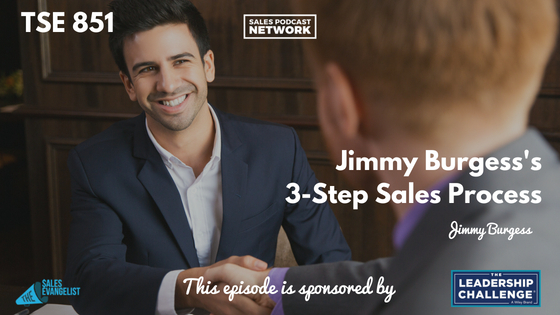 Today on The Sales Evangelist, we welcome back Jimmy Burgess, a 20-year veteran of sales, for a discussion about the 3-step sales process, and how it can help you create repeat business instead of constantly starting over. 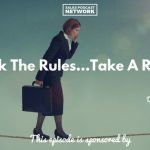 Jimmy recalls as a new seller studying successful people and discovering that he was dealing in transactions while others were building relationships. Success is built on systems; if you don’t have your own, you should find someone that’s successfully using systems and duplicate theirs. He discovered the truth that people do business with people they know, like, and trust. Step 1: Help them know you. Sales professionals must set up systematic approaches to build relationships with the people they meet. Whether you meet them via email, through cold calls, or on social media, you must have a process for putting prospects into a funnel and moving them to a place where they are comfortable with you. Jimmy believes that until they “know you,” your prospects will “no you.” Until they know you well, they will likely say no to doing business. In many cases, that kind of familiarity requires 7-9 contacts, which is difficult given the amount of information people are taking in every day. Video offers an easy way to distinguish yourself from the crowd. It gives prospects a chance to see your personality and connect with you on a personal level. When Jimmy leaves meetings, he sits in his car outside the meeting place and records a selfie video thanking his prospects for the opportunity to earn their business. He immediately sends all his contact information in a format that can be readily saved to a cell phone. Finally, he includes a message reminding prospects that he is available any time they need him. Step 2: Give them reasons to like you. Helping your prospects like you requires more than a sales pitch. You must help them know you in ways that extend beyond the sales arena. Connect with your prospects on social media, but make sure your profile represents you in a professional way. Connect on Facebook, Instagram, LinkedIn or Twitter. As part of his CRM, Jimmy shares a video about being 16 and setting his mom’s new car on fire with fireworks. Although the story has nothing to do with sales, it offers a his prospects a chance to laugh with him, and to get a glimpse of who he is outside of sales. Sharing a bit of your character and helping them see who you truly are will help you get to yes or no a lot quicker. Step 3: Help them trust you. Trust takes time, and it’s built on things you do rather than things you say. Personal testimonies are a great way to build trust because they demonstrate a proven track record, and an existing relationship of trust with other people. Include testimonials in your drip campaign. Become an expert in your field and write for large publications. Create day-in-the-life videos of you conducting business, interacting with people, and hustling. Ultimately, every sales professional strives to move from having customers to having clients, friends, and referral partners, because when people are willing to refer you to other people, you’ve achieved maximum trust. Most new sellers make the mistake of focusing on the transaction and forgetting about the relationship. Instead of becoming frustrated by where you are in the process, you’ve got to start somewhere. When you’re adding people to your database and creating touches for your existing prospects, you’re consistently growing your business. At some point in the future, you’ll wake up to discover you’re not simply a salesperson; you’ve created a business. The first step, Jimmy says, is to be willing to try something new. Instead of continuing to do what you’ve always done, try something that scares you a little bit. When you do, you’ll be like the little girl who clung tightly to a pair of fake pearl earrings because she loved them so much. When her dad asks her twice to give them up, she can’t bring herself to do it. The third time, when she finally musters the courage to hand them over, her dad exchanges them for a beautiful real pearl necklace. Be willing to let go of what’s good in order to get to what’s great. Re-evaluate the things you’re doing and be willing to try something new. Connect with Jimmy on Facebook and on Twitter, and grab a copy of his book What Just Happened? How to Bounce Back in Life So You Can Do More, Have More and Be More. BombBomb is a subscription service that allows you to imbed videos directly into your email communications as a way of personalizing your connections to your customers. Loom is a free app with similar capabilities. 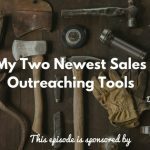 Jimmy was part of The Sales Evangelist Hustler’s League some time back, and he credits it with helping him understand the importance of systems. Check out our online coaching program that joins sellers of all levels and industries to share ideas and struggles. Our next semester begins this fall. There’s a reason I continue suggesting the book, Stop Selling & Start Leading: How to Make Extraordinary Sales Happenfrom our sponsors at Wiley. It’s a fantastic blueprint of all the things buyers say they expect from sellers and want from sellers. I’m so convinced of its message that I’m offering a free excerpt of the book so you can check it out.